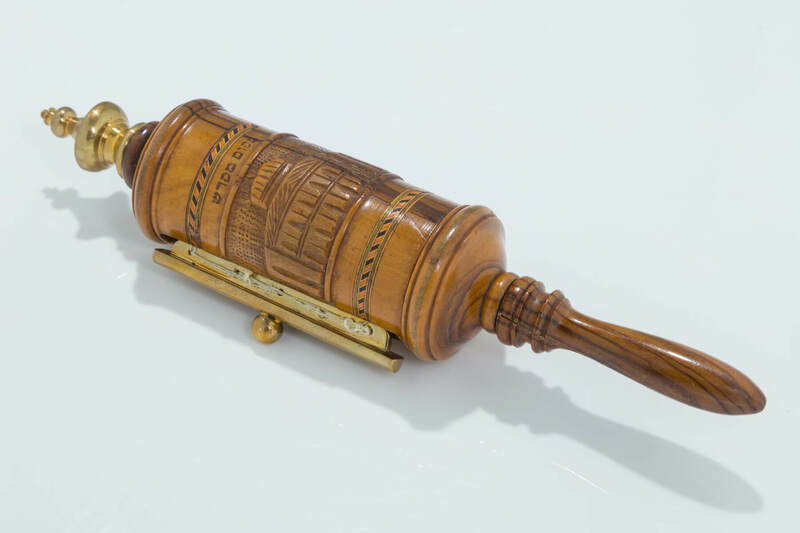 AN OLIVEWOOD MEGILLAH CASE WITH ORIGINAL MEGILLAH. Palestine, c. 1920. The case decorated with Old City and Holy Land scenes. Megillah 2.6” tall. Case is 9.5” including handle.